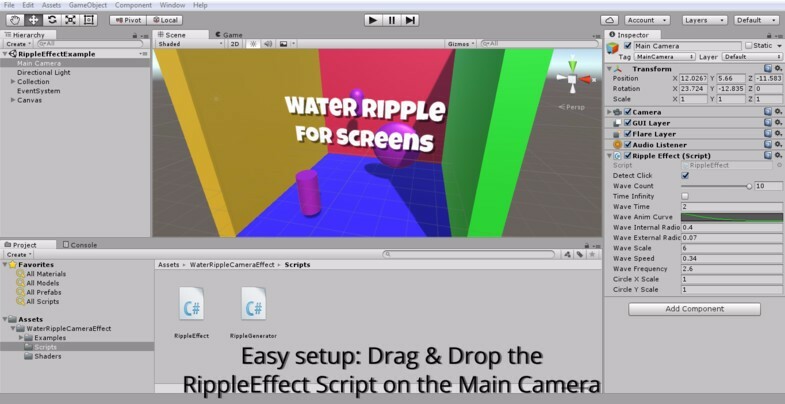 Drag and drop the RippleEffect script to your camera and press play. 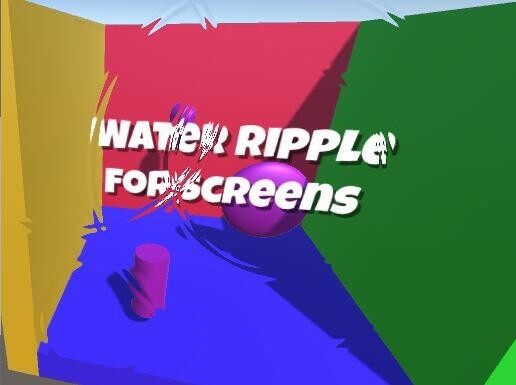 - Max wave count on screen (up to 10). 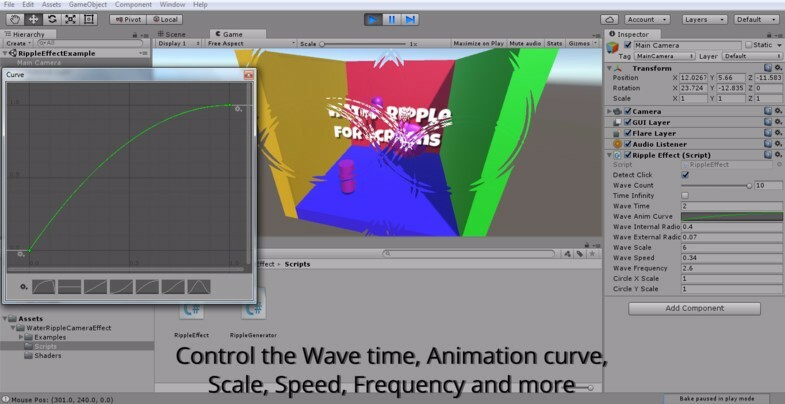 - Change wave behaviour by using an animation curve. - Wave start and end radio. - Wave speed and frequency.